Jelena FotoFight (Homepage) wrote: Just today I run into this blog. For now all pics are very nice. This one is my favorite for now. digital anomaly (Homepage) wrote: Excellent shot! Very inspirational photography. I especially like the long exposures. payam mohammadi (Homepage) wrote: very nice, beautiful lightness and idea. Guillaume (Homepage) wrote: WAOW ! Great composition and post work !!! Michael AMMEL (Homepage) wrote: great idea perfectly implemented in a very fine image, congrats! Arjan - PlasticDaisy (Homepage) wrote: Okay, seriously, how did you do this??! This gives me goosebumps! Perfect in so many ways! The best things Ive seen in ages! Kudos my man, kudos. andrey samolinov (Homepage) wrote: Wow! really cool! Master work! Happy New Year - vote! fabrizio (Homepage) wrote: senza dubbio una foto creativa, veramente geniale nella sua composizione ed estramente curata nei dettagli!!! Arnd (Homepage) wrote: This is a delightful, artistic and magical image. Andrés (Homepage) wrote: Very very cool!!! John Maslowski (Homepage) wrote: Fascinating composition! 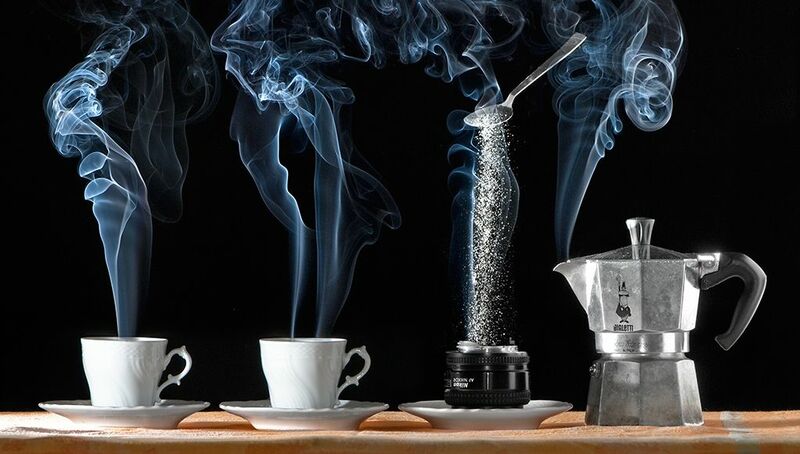 Great smoke effect, like the suspended spoon and details!